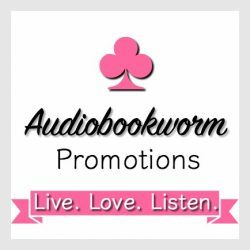 ← Review: I DARED THE DUKE by Anna Bennett ~ feisty women, and desperate duke makes a humorous, engaging read! 1388 A.D. – The Lady Amalie de Vere is the sister to the Robert De Vere, Duke of Ireland, Earl of Oxford, and personal confident and lover to Richard II. When trouble arises between the king and Henry of Bolingbroke, the Duke of Ireland flees for his life, leaving his sister behind and at the mercy of his enemies. Bolingbroke confiscates Hedingham Castle, the duke’s seat, and Lady Amalie along with it. Enter Sir Weston de Royans. A powerful, pious knight from a good Yorkshire family, his first introduction to Lady Amalie is a shocking one. But he eventually comes to know a beautiful, intelligent and humorous young woman who is in great torment and harbors a terrible secret. However, Weston harbors secrets of his own, deep family secrets that he has tried to run from for all of these years. As Weston and Amalie fall deeply in love, the two of them must reconcile themselves to these secrets and find understanding and forgiveness. For four years, they live happily and peacefully. Then, the situation changes and Weston’s demons resurface again when his grandfather dies and Weston inherits a baronetcy. Weston and Amalie find a new life with Weston’s new title that leads them into danger, vengeance, murder, and a brutal showdown on the tournament fields of Yorkshire where Weston risks his life seeking justice for his beloved Amalie. My Thoughts: Enjoyed? Of course, I did. I do see a difference in what the author currently pens and what she penned five years ago. That is to say, Le Veque’s writing style has matured and is more compelling than ever. I quickly warm to le Veque’s characters. Sir Weston, once he meets Amalie, knows she needs his protection. Yes, even protection from herself. Lady Amalie de Vere is a woman of strength, left to fend for herself in a world where men use women to dominate and to feel powerful. Sir Weston is one of those knight’s which still hold honor above all else, and women as sacred. Lady Amalie is ready to kill herself. Her shame can not be greater. She’s has been used, abused and in one night’s horror stamped for all time. Pregnant with an unwanted child, she is ready to commit the ultimate sin—death by her own hands. I was pulled into the story. It is sorrowful and tragic in an unbelivable situation, yet believable in its possibility. It is apparent through all the pain and suffering, love is the greatest thing of all. The narrator, Sean Patrick Hopkins, didn’t power up the story as I usually enjoy with Le Veque’s writing. His cool manner in the voice of Sir Weston, lacked the vitality of my idea of this hero, being too mild mannered where emotion doesn’t show in his tone. That being said, the voice and pain which is put into the voice of Sir Weston’s mother is completely believable and had my heart ache. Don’t miss this story from Le Veque. You will weep with the tragedy of the situation and smile with with the results of true love. 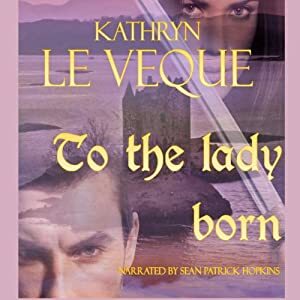 This entry was posted in Action/Adventure, Audiobook Review, Book Reviews, Romance, Romantic Suspense and tagged Audiobook Review, Dragonblade Publishing, historical romance, Kathryn Le Veque, Sean Patrick Hopkins, To The Lady Born. Bookmark the permalink.